The Hales Corners Environmental Committee is looking for a few enthusiastic gardeners. Decorative plantings are more than just nice to look at. They provide habitat for valued butterflies, bees, birds, and insects. This biodiversity strengthens the environment and nurtures the natural process. It adds beauty to the neighborhood and encourages others to do the same. Gardens not only beautify our community, but also provide habitat for wildlife and food for ourselves. Gardening is also a great way to get some exercise! In an effort to recognize the efforts of community members in enhancing the local landscape and supporting a quality environment, the Environmental Committee is introducing the Hales Corners Garden Initiative. 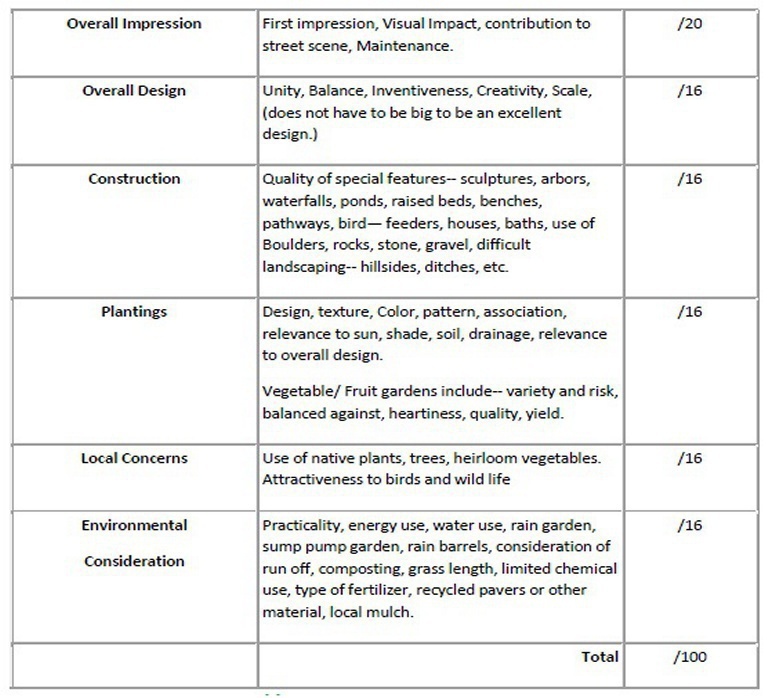 Awards of merit will be given at the end of summer to gardens that are visible from a street or walkway, and meet the judging criteria established by the committee. 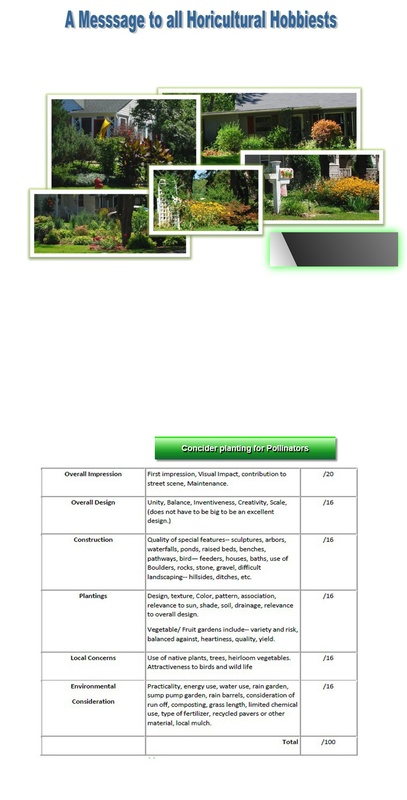 These will include things like overall impression, design, construction and types of plantings. The use of native plants and heirloom varieties will be encouraged. So while you are planning next year’s garden on those snowy winter days, think about participating in this project. The Hales Corners Garden initiative project aims to recognize the efforts of community members in enhancing the local landscape and supporting a quality environment. This front garden promotion is in keeping with the Hales Corners Environmental Committee's continuing efforts to encourage sustainable environmental behavior, sustainable development, community pride, community appeal, environmental education, and further bird and wildlife habitats. The only requirement to be considered for recognition is that the garden must be visible from a road or walkway. Though an award of merit will be given out at the end of the summer season, the emphasis is on participation and less for competition. Nominees who wish to participate will have their gardens photographed and posted on the Hales Corners Environmental Committee's website.